The ever-expanding list of U.S.-bred al Qaida operatives shows the terror group is trying to "flood the zone" of U.S. intelligence services to capitalize on what it considers a weakened America in the midst of a recession. This goal involves pushing forward an assortment of attacks and terror plots by lone wolves and poorly trained cells, experts say. Al Qaida "has never claimed it could or would defeat the U.S. militarily. Instead, it seeks to wear us down economically through increasing expenditures on domestic security and overseas military commitments," Georgetown University Professor Bruce Hoffman said in recent congressional testimony. "Given the current global economic downturn, this message arguably now has greater resonance with al Qaida's followers and supporters and perhaps even with new recruits." The goal behind these activities is "to consume the attention of law enforcement and intelligence in the hopes that this distraction will permit more serious terrorist operations to go unnoticed and thereby sneak in 'beneath the radar' and succeed," Hoffman said. Al Qaida "and its Pakistani, Somali and Yemeni allies arguably have been able to accomplish the unthinkable: establishing at least an embryonic terrorist recruitment, radicalization and operational infrastructure in the United States with effects both at home and abroad," Hoffman said. Al Qaida's new chief of operations is Adnan El-Shukrijumah a computer engineer from Miramar, Florida. Raised in the West and fluent in English, he is able to move around without attracting unwanted attention. Alleged 9/11 mastermind Khalid Sheikh Mohammed has identified El-Shukrijumah as "Jaffar the Pilot," a shadowy al Qaida figure planning to carry out further attacks on the United States. His name repeatedly came up in discussions recorded by undercover agents during the trial of a Florida man convicted of conspiring to bomb Mount Rushmore, electric stations, Jewish businesses and a National Guard armory. In June, the Department of Justice announced a superseding indictment charging that El-Shukrijumah recruited Najibullah Zazi to carry out terrorist attacks against the New York subway system. "He's definitely focused on attacking the United States and other Western countries," said FBI Special Agent Brian LeBlanc, who has been leading the Bureau's investigation of El-Shukrijumah. Anwar al-Awlaki, a native of New Mexico, has been linked to numerous terrorist plots in the United States - including the Fort Hood massacre, the attempted Christmas Day bombing, and the failed Times Square attack and scores of other terrorist plots in Canada, United States, Britain and continental Europe. Awlaki, affiliated with Al Qaida in the Arabian Peninsula, is an imam whose name has become virtually synonymous with jihad. Omar Hammami, also known as Abu Mansour Al-Amriki, is a 25-year-old native of Daphne, Alabama, a Mobile suburb. He was president of the Muslim Students Association at the University of South Alabama. After he dropped out of school in 2002, Hammami lived in Canada before moving to Somalia three years later. He has since become one of al-Shabaab's top commanders, appearing on rap videos like this. Adam Gadahn, a California native, has served as an al Qaida translator and propagandist. In December 2004, he appeared on an al Qaida videotape threatening to carry out attacks against the United States that would far surpass those of 9/11. Quoting Osama Bin Laden and Ayman al-Zawahiri, Gadahn warned that 9/11 was "but the opening salvo of the global war on America, and that, Allah willing, the magnitude and ferocity of what is coming your way will make you forget about September 11." Gadahn, who has been charged with treason, has appeared on several videos this year, including this one, calling on American soldiers to imitate Nidal Malik Hasan by killing their fellow soldiers. Samir Khan, a resident of Charlotte, is believed to be behind the packaging and graphics of Inspire, a new English-language magazine published by AQAP. Khan (now thought to be in Yemen) came to public attention in 2007, when press reports spotlighted that he was a 21-year-old man running a pro-terror website out of his parents' home. The New York Times reported that Khan "posted a scholarly treatise arguing for violent jihad, translated into English. He listed hundred of links to secret sites from which his readers could obtain the latest blood-drenched insurgent videos from Iraq." The inaugural issue of Inspire includes articles providing how-to information on subjects like building bombs in your mother's kitchen, sending and receiving messages using a terrorist-developed, encrypted mail service, as well as propaganda advocating the destruction of the United States. A federal grand jury in Charlotte has been considering terrorism charges against Khan. Awlaki and company are manifestations of a larger problem: the growing role that radicalized Americans are playing in the jihadist movement in the United States and abroad. 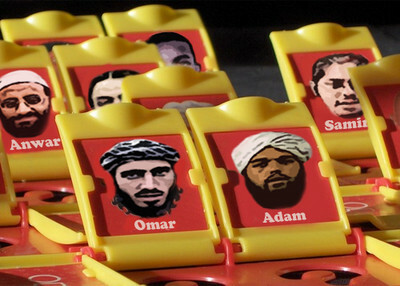 In numerous instances over the past year, terrorist organizations "either actively recruited individuals in the United States, deliberately motivated others to carry out terrorist attacks on U.S. soil or directed trained operatives in the execution of coordinated strikes within U.S. borders," Hoffman said. These include Zazi's plot targeting the New York subway, Hasan's Fort Hood attack, and the June 2009 shooting attack at a military recruiting station in Little Rock. Abdulhakim Muhammad - an African-American convert to Islam who had spent considerable time in Yemen - is charged with the Arkansas attack, in which an Army recruiter was killed and another wounded. Al Qaida has also succeeded in co-opting American citizens into participating in international jihad. These include al-Shabaab's radicalization and recruitment of more than 20 young Somali Americans from the Minneapolis area, and the five Muslim Americans from Alexandria who went to Pakistan to fight alongside al Qaida and the Taliban. Others in this category include David Headley, whose surveillance efforts enabled Lashkar-e Tayyiba to carry out the November 2008 Mumbai massacre , in which more than 160 people were killed. In a forthcoming paper, Daveed Gartenstein-Ross, of the Foundation for Defense of Democracies (FDD), marshals evidence to show that al Qaida and its supporters are pushing for more attacks against the American economy and industrial infrastructure as key components of their military campaign. The jihadists believe they have a better chance of success using American Muslims who can "blend in a way foreigners cannot," Gartenstein-Ross told the Investigative Project on Terrorism. Jihadists are having a robust debate over what kind of attacks will do the most harm to the United States. In February, the Al-Fallujah Islamic Forums website, a jihadist forum supporting the Iraqi insurgency, asked correspondents about the best areas to strike in order to "destroy America." Suggested targets included the White House, stock exchanges, bridges, public buses, and pubs. The key, according to one respondent, was "striking in the heart of the American street" because "they cannot protect these easy targets. How can you protect a bar or a commercial center or a train or a bus?" Another said it was important to use "biological terrorism" against the United States: "Yes, a biological danger will be paralyzing. It will make them scared of their own shadows. They will not be able to enjoy their food or lives." On another jihadist site, a respondent called for attacks on nuclear reactors in the hope it would spread nuclear radiation "all over" the United States and Canada. In March, Al Qimmah, a website in Sweden which disseminates videos and statements from jihadist groups around the world, posted remarks by Awlaki stating that jihad is a legitimate response to "American aggression." The United States "thought that it could threaten lives of others. Kill and invade, occupy and plunder, and conspire without bearing the consequences of its actions. 9/11 was the answer of the millions of people who suffered from American aggression," Awlaki said. He appeared to taunt Americans over their vulnerability to terrorist attack: "Do you remember the good old days when Americans were enjoying the blessings of security and peace when the word terrorism was rarely invoked, and when you were oblivious to any threats? I remember a time when you could purchase an airline ticket from…your local or college newspaper and use it even though it was issued to a different name because no one would bother asking you for an ID before boarding the plane. No long lines, no elaborate searches, no body scans…no taking off your shoes and emptying your pockets." "And since then America has not been safe and nine years after 9/11…you are still unsafe even in the holiest and most sacred of days to you, Christmas Day," Awlaki continued. "How much more can the US treasury handle? 9/11, the war in Afghanistan and Iraq and then operations such as [the Christmas Day bombing] which could have not cost more than a few thousand dollars end up draining the US Treasury [of] billions of dollars in order to give Americans a false sense of security. For how long can the US survive this war of attrition?" "Imperial hubris is leading America to its fate – a war of attrition, a continuous hemorrhage that will end with the fall and splintering of the United States of America," Awlaki said. Would Jihadists Carry Out Their Threats? Is the chilling rhetoric about attacking the United States that often appears on jihadist websites little more than idle bluster? Jarret Brachman, a North Dakota State University professor who closely monitors these sites, is one who thinks it must be taken seriously. Brachman points to recent cases in which terrorists and terror suspects graduated from advocating jihad on the Internet and social media like Twitter and Facebook, to attempting to carry it out. In March, Brachman began corresponding with Zachary Chesser, (AKA Abu Talhah al-Amrikee), an Alexandria, Va. man arrested last month for supporting al-Shabaab. Before his arrest, Chesser was best known for threatening creators of the South Park television show. Chesser converted to Islam in 2008 while playing on a soccer team organized by the radical Islamist organization Hizb ut-Tahrir. Last year he began posting a veritable deluge of extremist material to the Internet - so much so that Brachman believes he wanted to become a "stand-alone al Qai'da propaganda machine" in the U.S. Chesser was particularly enamored of al-Shabaab's Abu Mansur al-Amriki, even recording jihadist war hymns emulating his rap songs. Chesser posted videos and messages supporting the mujahideen in Somalia, prosecutors say. In December 2009, he began to operate his own blog, describing it as "a website dedicated to those who give their blood for this religion." He claimed he was not encouraging "specific acts of violence" and that his website "is only intended to encourage general and ambiguous acts of violence." In April, Chesser posted an article urging readers to do their part to support "brothers like Shirwa Ahmed," a Somali American who fought for al Shabaab, becoming the first known American suicide bomber. Chesser urged Muslims to "answer the call to jihad" because "your brothers and sister in Somalia are raped and killed by the Ethiopian Puppets from Addis Ababa and the Somali slaves of the United States." On July 10, Chesser was barred from boarding a flight New York to Uganda. According to an affidavit filed in the case, he admitted his intention was to travel to Somalia to fight for al-Shabaab. Chesser also said he brought his infant son with him as a cover "to avoid detection of his intention to join Al-Shabaab in Somalia," the affidavit said. Brachman calls would-be terrorists who graduated from posting jihadist rhetoric on the Internet to attempting to carry it out "jihobbyists." It is a fallacy to believe that such people don't constitute a security threat. "There are so many [jihadists] that have a big online footprint before they go violent," Brachman told the IPT. For example, Faisal Shahzad, who pled guilty in the May Times Square plot, reportedly blogged on jihadist websites dating back to 2006. Hasan corresponded with Awlaki and other radicals via the Internet prior to the Fort Hood killings. Colleen LaRose, AKA "Jihad Jane," posted frequently in favor of jihad prior to her arrest on charges of providing material support to terrorism and plotting to kill a Swedish cartoonist for depicting the prophet Muhammad. "That was a definitive moment for how jihobbyists thought of themselves," Brachman told the IPT. In the wake of Balawi's suicide attack, "the new mindset we've seen is that it's no longer acceptable just to support violent jihad online." Jihad using the Internet and social media is now regarded "as a staging ground and not an end in itself," Brachman said. It is believed that terrorist have a base in Mexico, 12 miles away from the Arizona border. Our government, however is persecuting and prosecuting Arizona! Why? ...thousands of weapons housed by a Hezbollah operative in Mexico. are we a citizens doing all we can to point out those who would do us harm? This message is so important to get out. Majority do not know, and are shocked when told. You are doing us a great service informing us of what to look out for. Please keep up the good work, by repeting the messages often. It is time that our citizenary are watchful to the possiblities that are against our nation. God protect us. Maybe we will see our folly and turn back to Him. You are realizing this now? It is the same strategy that Pakistan has been employing against India for decades. And those billions that you have poured into Pakistan as protection money will be used for financing the jihad against America. I hope this will help not only Americans but the world , leaders & citizens.